Magnolia is a little known super hero flying above the streets of New York fighting petty crimes when she hears that someone just killed Joey the Round Man down at The People’s Pizzeria. She has suspicions that this is part of a larger plot and asks her friend Ron to help out by infiltrating the home of Thaddeus Stone, the founder and CEO of Americamart. Ron and Magnolia attempt to unravel a mysterious evil plot while encountering dangerous villains along the way. Magno Girl’s fame increases with every bad guy she takes down and every evil plot she foils. Now she must avoid the paparazzi, endorsements, and movie deals all while dangerous super villains plot to destroy her. Will Magnolia and Ron save the day? Even when the good guys are working for the bad guys, and the bad guys control the materialistic masses. He’s been burned and covered with pizza dough. They turned him into a man-sized Stromboli!” My jaw dropped. “Those dirty bastards.” Most of my family was in the pizza business, and while Joey was not a relative, I hated to see a good tomato soldier go down. The writing was good, the jokes were decent, and the story line was entertaining, but what I really couldn’t get through was the interspersed moments of bickering between Magnolia and her mother. It really dragged the story for me. It was good enough the first time to show the relationship between her and her mother, but then it’s replayed over and over again through the story to the point where I literally felt Magnolias frustration. This is really the only disappointing element of the book. The world and back story are well built. The world, or at least New York, is filled with super heroes that fight crime, sometimes alongside the police, and star in commercials and sell their merchandise. There are low level heroes and famous super heroes. Magnolia doesn’t care for fame, but Ron does and they’re constantly fighting the urge to make easy money and stay true to their core belief of doing good for the greater good, not to cash out like many of the archetype super heroes. The story and it’s characters were absurd, but that’s where this book shines. This is a genuinely fun book to read. Don’t take the book seriously, go in ready to laugh and you’ll have a good time. I guarantee it. The Monster talks with Stephen Henning, author of the Class Heroes series. We talk about living in London and his run in with super powers. Sadly, the only super power the Monster has is his ability to sleep anywhere, at anytime, and within a moments notice. It’s a power bordering on narcolepsy. A Class Apart is about two kids in London that acquire super powers. Have you spent much time in London and do you have any experience with superpowers? My family all come from London and I spent a lot of time there growing up. I lived and worked in Ealing (near Ealing Film Studios) for a few years, so I set the books there as it was a place that I have a lot of fond memories of. I always look for news stories about superpowers and try and weave them into my books. There was a recent article about a pharmaceutical company offering £10,000 for people with ‘superpowers’ — ie people who heal quickly or never get ill — to volunteer to be tested on. That’s definitely something I’m drawing on in later books in the series. I got stung by a stinging nettle when I was 8, and it left a permanent mark on my wrist. I often wondered if I’d become Stinging Nettle Man (battling Doc Leaf, perhaps??) but it never happened, much to my disappointment. Lolly was my favorite character in the story. What was your inspiration for that character? She is great, isn’t she? I love writing for her. There were several inspirations that I drew on. I cherry picked interesting facets from various people that I know. But in a nutshell (or nutcase, perhaps) she is someone who sees the world as her playground. Nothing is off limits. Her father is rich and powerful, she has a super ability, so she wasn’t bound by the same constraints that everyone else grows up with. She’s like a cat: does what she wants, goes where she wants, and acts on instinct. The only person that she listens to is her father. But sooner or later she’s going to grow up and have to start making choices for herself. What are your thoughts behind the development of the characters’ super powers? Why did you choose the powers you did? The characters’ superpowers are an expression of their mental state at the time they got those powers. And that applies to other characters as the series develops. So at the beginning of A Class Apart, the twins’ school bus explodes. Sam is burned by the fire and she tries to use all her strength to get out of the bus, which manifests later as her flame power and strength. Similarly, James can’t move and can’t reach his sister to help her — hence his teleportation and telekinesis. One of the things that has always interested me about superpowers is what people would actually use them for. The average person, when given an unusual ability, is probably not going to think ‘I’ll fight crime’. That works well within comic books, but I don’t think it works quite so well in a novel. If I got powers, the most interesting story would be how I dealt with the change to my life. It’s a bit like winning the lottery, or suddenly becoming famous. On the face of it, it’s great, but it has the potential to vastly improve your life, or totally wreck it. What would it do to your relationships? Would you want to use your abilities in everyday life? Would others be envious and try and use you? Those are the stories that I want to tell in the Class Heroes books. 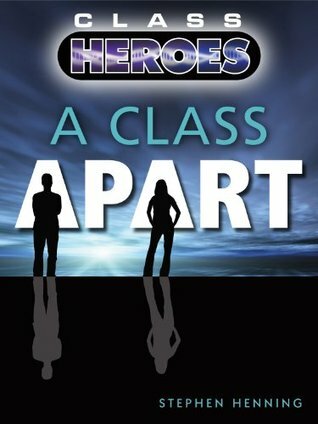 A Class Apart is the first book in the Class Heroes series. What can readers expect in the coming novels? Readers will get to know James and Sam much better. A Class Apart was quite broad in terms of being introduced to a number of characters. From book 2 — What Happened in Witches Wood — onwards, James and Sam become the main focus, along with Lolly and her father. Book 2 is more akin to a ghost story, as James and Sam discover that their dead aunt is haunting a wood close to where their grandparents live. Sam and James also get to find out how they got their powers, and why Lolly and her father are so interested in them. Book 3 is a short story — a novella — featuring just Lolly. It gives us a deeper insight to her character for the first time, and is full of surprises, just like the girl herself. It’s a standalone story called Where’s Lolly? and it’s free on Amazon.com and Amazon.co.uk. So if you want to sample the series for free, you could start there. Book 4 is more of a crime novel. It ups the stakes for James and Sam as they — and a kid with a rather unusual power — attracts the interest of governments, a London drug lord and the Russian mafia. It’s called London Belongs to the Alchemist and it’s out in July. A coach has just been blown up in an apparent terrorist attack in London leaving dozens of school children wounded. They’re rushed to a hospital for medical care while the media swarms for a glimpse of the aftermath. The police quickly get involved to try and calm everyone’s fears and catch the perpetrator. What no one realizes is that this is much more than a blind act of violence and the school children were not random victims, but targets of a well-executed plan. The hospital quickly becomes a house of terror when the kids realize that they’ve gained super powers and the staff is turned into puppets acting out one child’s nightmares. Two of the kids, James and Sam, take it upon themselves to solve the mystery and save everyone from a living nightmare. 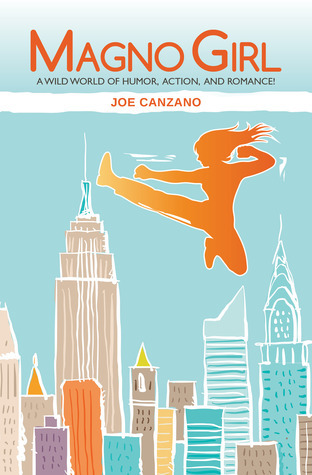 A Class Apart certainly doesn’t unfold like your standard super hero novel. At first I thought this was going to wind down to a horror novel as more of the creepy elements of the hospital surfaced early on in the novel, but then it melded with some classic super hero elements of discovery and limitations. Most of the book takes place in a hospital, which was meticulously detailed in the book and lent to its overall creepy vibe later in the novel. The main characters, James and Sam, are siblings and are well developed through the story along with plenty of the other characters that are thrown into the mix. But by far the best character is Lolly; her overall mysterious nature was well characterized and she’s one personality that I definitely want to learn more about. It seemed that her and her ‘father’ were the ones pulling the strings, but operating on the sideline of events. But while the characters and scenes were well done what really brought this novel down a bit was the dialogue and overall character interactions. The dialogue seemed very generic and forced in some cases. For example there was one line of dialogue early in the novel when the children were calling each other names, “I hope you die looking at a McDonalds.” I’m not sure what this means, maybe it means something in Britain, but to me it just sounds like an odd thing to wish on your enemy, even for kids. Or another example, “You pretend that you think you are not attractive,” continued Philip Randerson, “when, in reality, you know that you are attractive. But by acting like you believe you are not, you end up gathering more attention.” I use this because it’s an example of a lot of sentences in this book that suffer from a lack of contractions and clunky prose. But overlooking the awkward flow of speech A Class Apart has a fantastic story of sibling love and the burdens of power at its core. It stands on its own as a novel, but is a great setup for the series.